In 1974, John Cantwell, a young boy from Queensland, enlisted into the Australian Army. He served in Operation Desert Storm in 1990-1 as a Major-in-Command of a British tank squadron. In 2006, Brigadier General Cantwell was deployed to Iraq as the director of strategic operation for the multinational forces. And then in 2010, Major General Cantwell served as commander of the Australian forces in Afghanistan. Although he returned a year later to the safety of his native Australia, Major General Cantwell was still in a battle that he has fought in secret for almost two decades: Post traumatic stress disorder. It wasn't long before the past horrors of all three war campaigns have finally taken their toll and his personal unraveling began. Instead of being considered for the plump job as the Chief of the Army, he ended up in a psychiatric hospital. A while back, I had read an excerpt of the book and I was stunned. Once I read the first sentence on the book, I wasn't able to put it down. 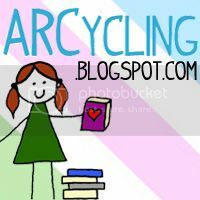 The story had a deathly vice-grip on me and by the end of the night I had read over a quarter of the book. I was instantly revolved by the eye-witness accounts of death and destruction, from seeing burned corpses to having to identify some of the fallen troops under his command. What also moved me was the deep and abiding love he has for his wife, Jane, who wrote two chapters about her experiences with her husband's battle with PTSD. By the time I finished, I was crying, completely dumbstruck. At that moment, I knew my life was changed. In the similar vein of Romeo Dallaire's "Shake Hands with the Devil" (another life-changing book that I highly recommend) "Exit Wounds" is a tragic, heart-wrenching, and deeply moving account of a soldier's fiery descent into hell. It will shake you to the very core, but will leave you in awe of the raw courage of John Cantwell and exposing his past trauma in the hope of raising much needed awareness on the silent war that is destroying our troops. 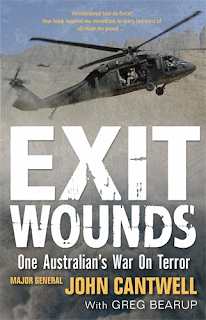 Watch the book trailer for Exit Wounds. Read an excerpt of Exit Wounds. Great review Ruth, I was equally touched by this book; an incredible Australian! Thanks Tracey. It's not a wonder why many people admire him for both his service and humanity. By the way, I've read your interview several times, it was that good!